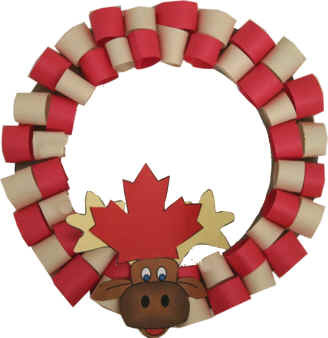 The moose is a fun wreath to do by yourself or with a group for Canada Day. 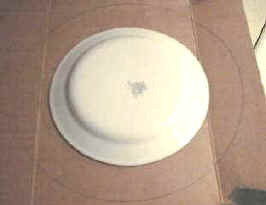 Trace a small plate and a large plate onto a piece of old cardboard. 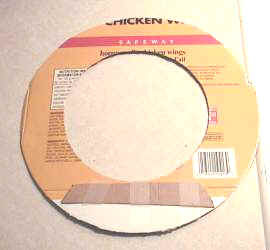 Cut a small strip of cardboard and glue it onto the back of the ring over any folds in the cardboard. This will reinforce the ring. 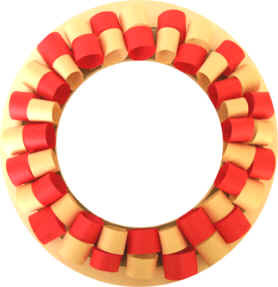 Glue the rolls of construction paper onto the wreath. We made a red and white pattern, but you can do it however you wish. Color the template pieces and cut out. Glue the head and maple leaf on top of the wreath.